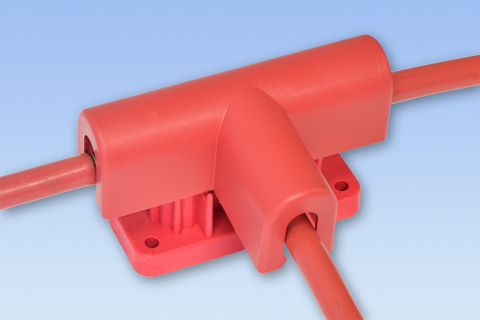 The 375 Series was designed to cover multiple high amperage terminal connections. They offer open cable entry, so the insulator can be snapped into place on the cables. They are offered in the "L" shape, and the "T" shape.